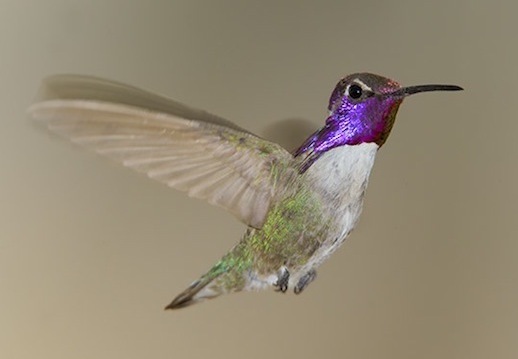 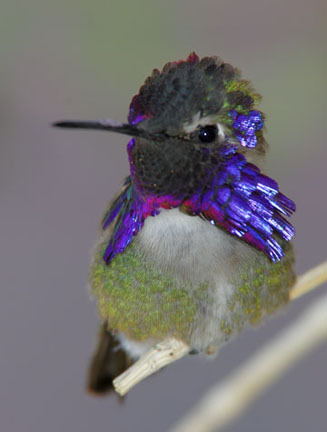 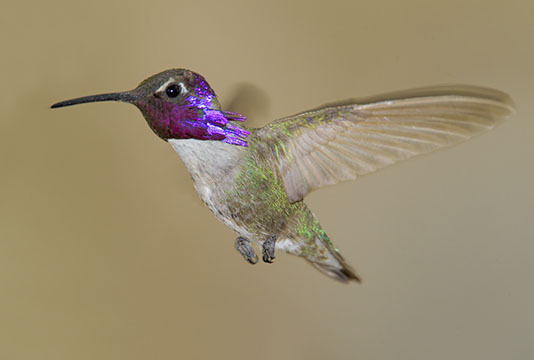 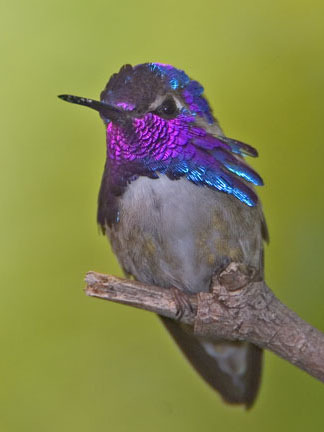 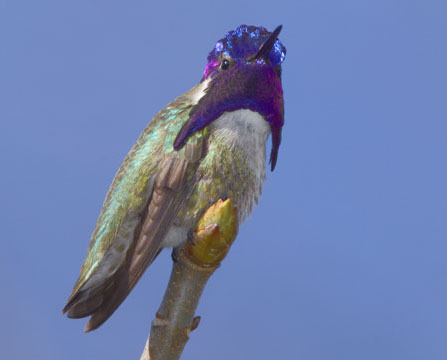 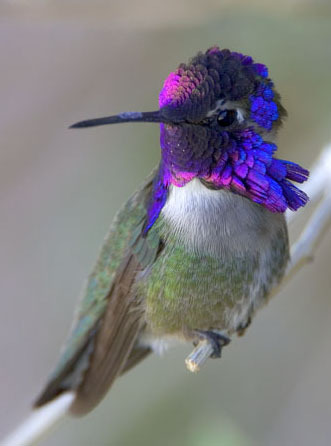 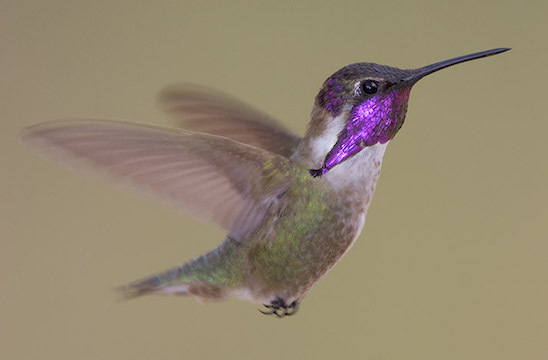 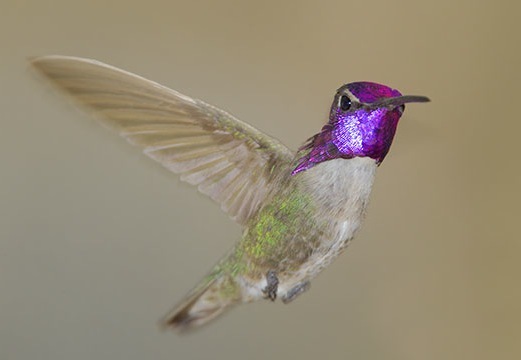 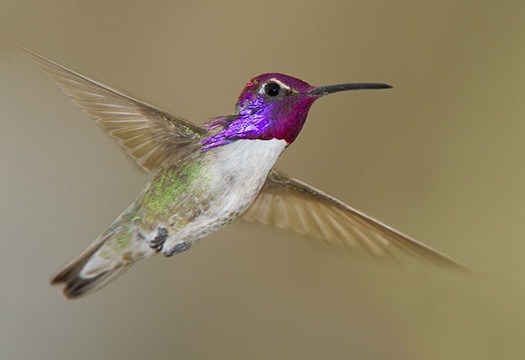 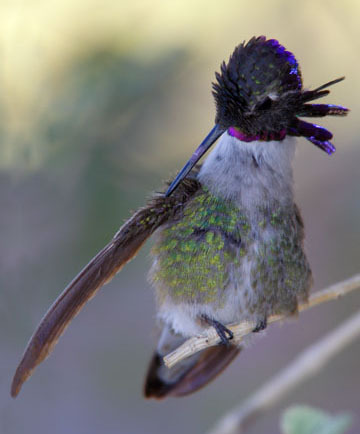 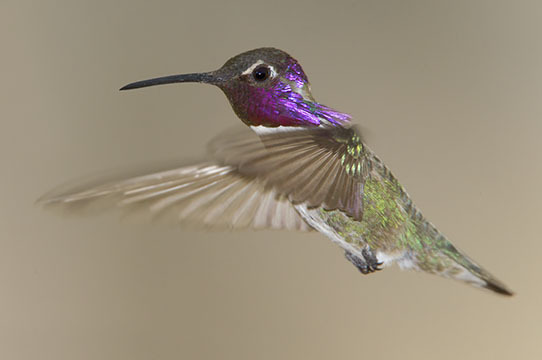 A quintessential bird of the southwestern deserts, the male Costa's hummingbird has a spectacular purple-blue gorget. 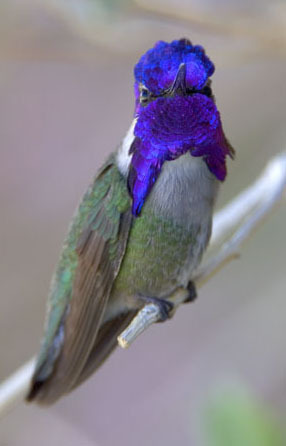 Unfortunately the gorget only 'illuminates' when the light is coming from the correct (and rather restricted) direction, so it's difficult to get a good image of the full effect. 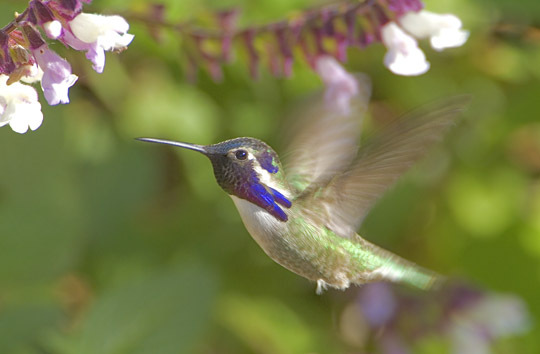 Diffuse shade or an overcast day helps, because the light becomes omnidirectional (as in the pictures in the top row). 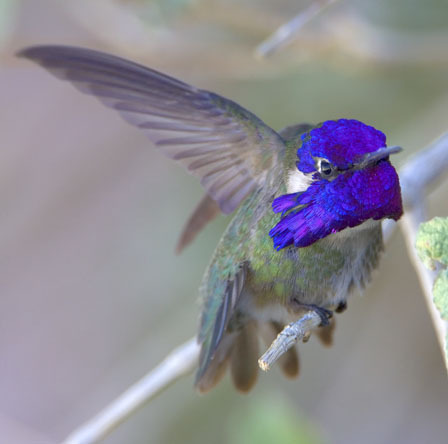 These were taken at the Boyd Deep Canyon research station near Palm Desert, California, or near San Diego, California. 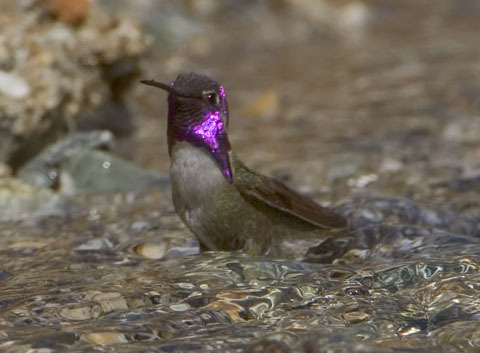 The images near the bottom of the page shows a more typical result for flying birds (Big Morongo Reserve, Riverside County, California; University of California, Riverside Botanical Gardens) and bathing (Deep Canyon).